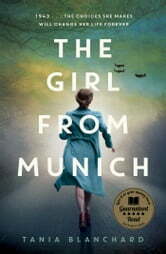 The Girl from Munich | Rakuten Kobo. 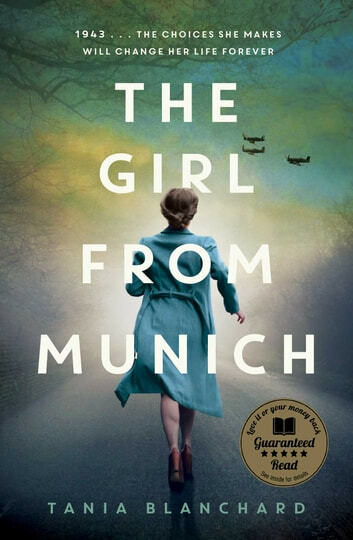 The haunting bestseller about love and loss in wartime Germany, inspired by a true story. Germany, 1943. The choices she makes will change her life forever. Growing up in Hitler’s Germany, Charlotte von Klein has big dreams for the future. Her mind is full of plans for a sumptuous wedding to her childhood sweetheart Heinrich while working for the Luftwaffe, proudly giving her all for the Fatherland. But in 1943, the tide of the war is turning against Germany, and Lotte’s life of privilege and comfort begins to collapse around her. As Hitler’s Reich abandons Germany and the country falls to the Allied forces, Lotte is forced to flee from the unfolding chaos to the country with the darkly attractive Erich Drescher, her Luftwaffe superior. Amid the danger, pain and heartbreak of a country turning on itself, Lotte must forge a new life for herself. But as the country struggles to find its future, shadows of the past come rushing back and Lotte finds herself questioning everything she has fought for - love, duty and freedom. I downloaded this book to gain experience in using my new ereader. However I found myself reading it for interest and pleasure and recommend it to anyone who wants to read about life in Nazi Germany from the everyday ordinary German's perspective. It is easy to forget that there were good solid Germans who lost as much as others did and this book reminds us of that as well as the futility of war. Thank you for a good read. Loved this book, fascinating, thought provoking & a real insight into such a horrendous part of our history. Yet a great easy read. Highly recommended! I loved this book. Just when you thought it was heading in one direction it moved onto another. An interesting perspective. Can't wait for me the next one. I couldn't put this down. Reveals that everybody is a victim in war and all subject to manipulation. A good book to read, Interesting from the story teller of the war Etc.